So Is Lotto Dominator A Scam? In this article, we’ll discuss Lotto Dominator – a popular eBook that’s been generating quite a bit of buzz especially among lottery enthusiasts. We got our hands on a copy to give you an accurate review of the product and see if it’s worth your money. We’ll also show you how to get a copy for yourself below. Anyway, Lotto Dominator is designed to work with any lottery out there. That means you can use Lotto Dominator to snag all the biggest jackpots – at least that’s what it claims to do. Some of Lotto Dominator’s promotional materials advertise a surefire method for winning the lottery. The idea is simple. You input the winning numbers from the last few draws, and run it through a formula to predict the most likely combinations for future draws. While it may not guarantee immediate success, you can use the same formula as many times as you’d like. However, we can’t actually reveal the formula here. You’ll understand why in the next section. Let’s talk about our experience reading Lotto Dominator. The moment it loaded up, it became immediately apparent that not a lot of care was put into writing this thing. The entire eBook is 181 pages long, divided into 20 chapters, and is all very difficult to read. Formatting is inconsistent, fonts are all over the place, and navigation is a complete nightmare – especially if you like jumping to different chapters. As for the actual content, it’s just as bad. There’s some helpful tips to be found, but none of them represent anything novel. You can get all of the information elsewhere, and for free. Some tips are contradicted in later chapters as well. In one section, the book tells you to use your winnings on more lottery tickets. Further down, it also tells you not to spend your winnings at all. Seriously? Other tips seem to be there for no real reason. In one section, the book suggests that you meditate to increase your chances of winning. While we are firm believers that a clear mind does wonders for your quality of life, we fail to see the connection there. That’s just one example of the amount of unnecessary fluff you’ll find. Even worse, a lot of its contents are recycled throughout the book – making multiple appearances in different chapters. In complete honesty, the entire thing could’ve been condensed to just a few pages. And that supposed secret formula that this book advertises? It’s not even in there! Lotto Dominator doesn’t have a formula because – and we’re sorry to burst anyone’s bubble – it doesn’t exist. The eBook is just a bunch of random tips strung together to resemble something remotely readable. The bottom line is that Lotto Dominator isn’t worth your money. If you really want to increase your odds of winning the lottery, take the money you would’ve spent on this eBook and use that on tickets instead. 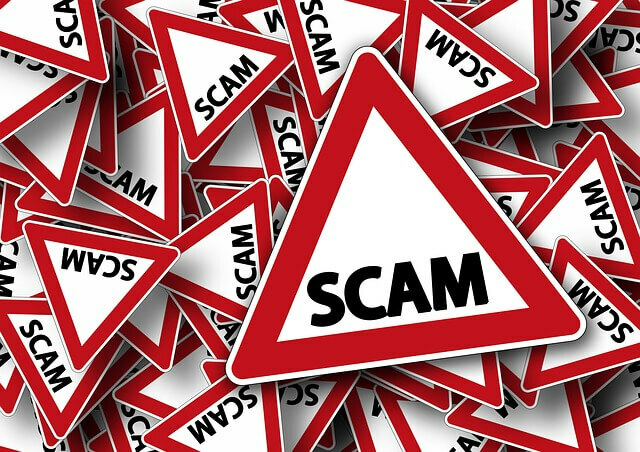 We did some digging around and it appears that Lotto Dominator is just another internet scam. We gathered some compelling evidence to lead to this conclusion, which we’ve highlighted below. Richard Lustig might not be connected to Lotto Dominator at all. That’s right. The man whose name is associated with this book probably had no part in its creation. For one thing, Lustig’s official website makes no mention of Lotto Dominator. Lustig has never talked about the book in any of his interviews, either. Internet records also show that Lotto Dominator’s website was registered in Panama, which is weird since Lustig is from the US. Lotto Dominator is grossly overpriced compared to Lustig’s real book. A digital copy of Lotto Dominator comes with a $300 price tag, marked down to a perpetual “sale” price of $147. By comparison, Lustig’s actual book (which you can find on his official website) is priced at $40, and ships as a physical copy. The official Lotto Dominator website is now closed. At least to new members, that is. People who have previously purchased the book can still access it, but the fact that the website no longer accepts new members should serve as a warning to its legitimacy. 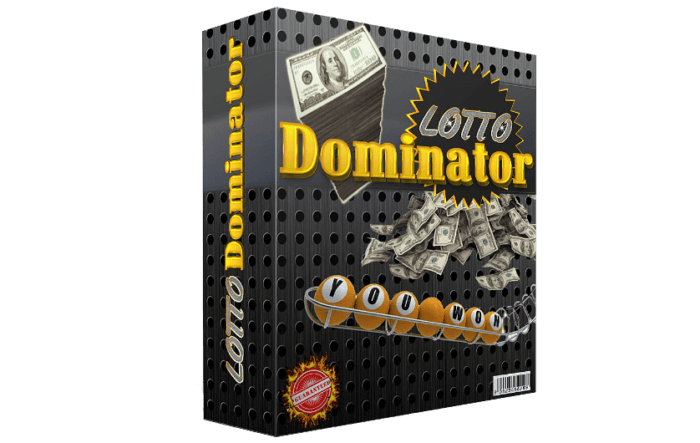 Lotto Dominator has undergone two name changes – perhaps as a way of escaping all the negative reviews it has undoubtedly received. It was first released as Lottery Winner University, then renamed to Lotto Crusher before switching to its current name. Amazon has since removed Lotto Dominator from its catalog. No surprise here, to be honest. While Lotto Dominator’s (very bad) customer reviews can still be read on Amazon, the actual product page has been taken down. As it turns out, Lotto Dominator looks like the typical cash-grab disguised as a legitimate product, designed to take advantage of unknowing customers. Do not be fooled. Stay away from this book. If you’re still interested in checking out Lotto Dominator even after everything we’ve discussed, you might have trouble obtaining a copy. As already mentioned, the official website is closed, and the book isn’t available on Amazon anymore. That’s why we’re providing you a link to a free copy via the official website. Yes, I know I said it’s closed to new members, but the PDF copy can still be downloaded freely. Simply do a Google search for Lotto Dominator PDF, and it should be the first result to appear. 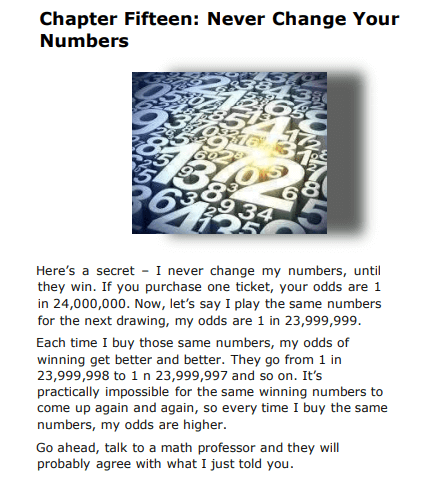 Or you can just click here: Lotto Dominator PDF. You can also check out our very own list of lottery prediction tools for some better alternatives.